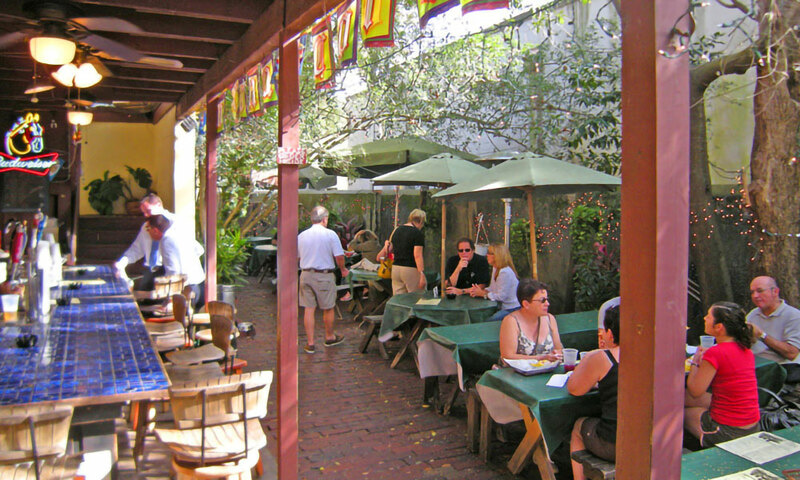 Mi Casa Café, located in historic downtown St. Augustine, is a quaint little café/restaurant and outdoor beer garden serving lunch and dinner every day. 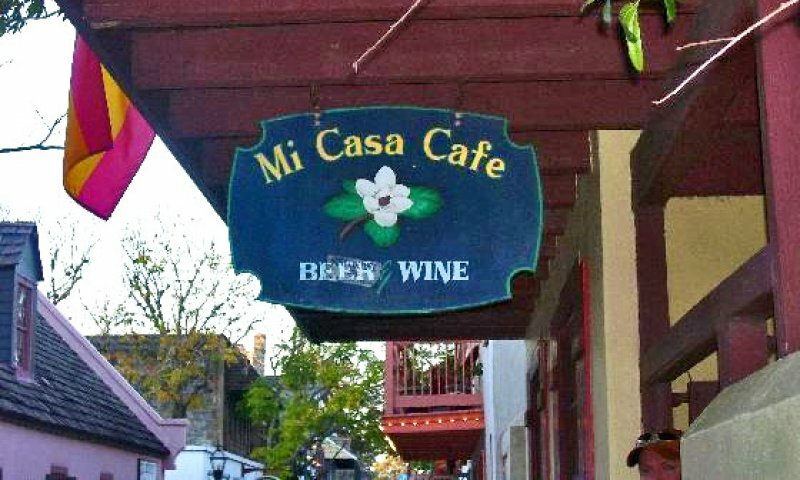 Mi Casa Café serves German-Spanish style food such as a Reuben dog and tacos. They also serve the best in Thumann's deli meats and European and American beers are available. Mi Casa also offers some vegetarian dishes. This charming little downtown restaurant is pet-friendly and frequently has live music. Mi Casa Café is located at 69 St. George Street, next to Florida Cracker Café. This place is absolutely amazing. Ask for Marnie, she is the best. Her love and passion for customers is unparalleled. The music and food is a 10/10. Thank you for creating such a wonderful place. Was there a couple years ago. Loved the atmosphere, food and the cutest bartender named Danny O. Is he still there? I definitely give it a thumbs up. Awesome atmosphere!! Great music!! Best Cuban sandwich!! When my boyfriend and I visit Florida for a week we visit Mi Casa 2 or 3 times!!!!!! It is just a great place to sit outside and relax, eat and listen to the great local talented musical performers! Awesome atmosphere!! Great music!! Best Cuban sandwich!! When my boyfriend and I visit Florida for a week we visit Mi Casa 2 or 3 times!!!!!! It is just a great place to sit outside and relax, eat and listen to to the great local talented musical performers! I stopped in with my elderly parents and husband, bartender was extremely rude, encouraging bad behavior from a female patron who was intoxicated basically heckling my husband for ordering a beer they don't carry.I felt as though the bartender was encouraging a potential confrontation among patrons. I got parents and left.I"ll ever go back. Apparently this is a "local only" bar. My mom and I stopped by to have lunch and ordered the Chicken Salad Sandwich and Sweet Potato Fries. We also had their Cider...yum. The Chicken Salad was fresh and the Sweet Potato Fries were wonderful. The staff was very friendly and helpful. We ate inside as the music was loud as it should be, but my mom is 82, and we really enjoyed the selections. I do plan to go back. Best live music and atmosphere. We were literally drawn in as we walked by the first time. Has brought us back to St. Augustine the past 3 years! Great place to spend the afternoon and one of the few places with Spaten Octoberfest on draft. Cuban sandwich is great. Best live music in town! We found this little outside alley area on a Sunday early afternoon and enjoyed 4 hours of live music. Amazing guitar players!